Penn State Health has appointed Deborah A. Berini to the role of president of the Milton S. Hershey Medical Center. When she joins the organization on Sept. 17, Berini will lead Penn State Health’s flagship hospital on its mission of delivering leading edge care locally, and setting the standard for operational excellence across the system. The Milton S. Hershey Medical Center Board of Directors and the Penn State Health Board of Directors recently confirmed Berini’s appointment. Berini most recently served as chief operating officer at the University of Texas Medical Branch (UTMB) Health System. She led the operational transformation and growth of UTMB Health System from a single campus University-affiliated medical center to a regional health system with three hospitals, 99 outpatient clinics and care for two-thirds of the incarcerated population of Texas. 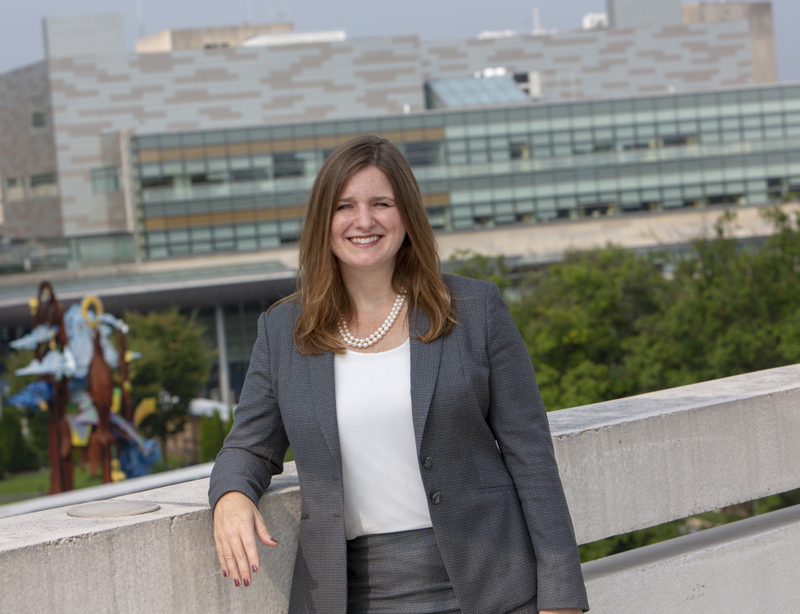 Under her leadership, UTMB rose in rank from near the bottom percentile to the top 10 nationally in Vizient, an organization that analyzes quality and safety data for university health systems. Berini was selected through a national search which focused on identifying an emerging leader with success in improving quality, safety and patient satisfaction, expertise in financial management and performance improvement. Berini also brings demonstrated skill in developing successful partnerships with a medical school to advance academic and research missions, and building collaborative, trusting relationships across the health care spectrum. Penn State Health shares an integrated strategic plan and operations with Penn State College of Medicine, located on the Hershey campus of the Milton S. Hershey Medical Center. Berini’s career includes roles in a variety of leadership positions at the University of Alabama at Birmingham Hospital and the University of Wisconsin Hospital and Clinics. She earned a bachelor’s degree in biology from Drury College and a master’s in health administration from Washington University of Medicine. Alan Brechbill, who has served as president of the Milton S. Hershey Medical Center since 2006, will transition full time into his new role as executive vice president for hospital operations for Penn State Health. Brechbill will oversee all clinical operations of the health system, including the Milton S. Hershey Medical Center, St. Joseph Medical Center, Penn State Health Medical Group, a planned new hospital in Cumberland County and other facilities that may join the growing health network. Berini will report to Brechbill.